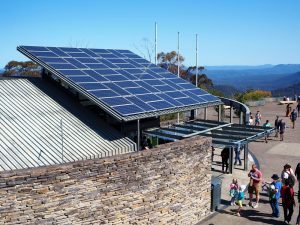 With rising electricity costs and the cost of connecting rural properties to the grid running to tens or even hundreds of thousands of dollars, more and more Australians are choosing to install a standalone power system (“SAP”). When properly designed, installed and maintained a SAP system can be more reliable than grid power. In the last few years SAP technology has rapidly improved in both quality and reliability, however most systems still rely on outdated installation methods and as such may not deliver the results required. The revolutionary Power+BOS systems incorporate world leading products which are pre wired and tested to ensure maximum reliability and ease of maintenance. The Power+BOS 300 system is designed for consumption up to 5kWh and the Power+BOS 600 up to 25kWh. If you are concerned about running out of power, the optional, plug and play, fully automated generator means you never run out of power no matter what the circumstances. What are the advantages of Power+BOS systems? Australian manufactured and fully engineered including a weather proof, outdoor rated, powder coated enclosure with a non rusting base and lockable lid. Top quality components. Power+BOS systems come with either Outback or SMA inverters, Exide batteries (with extended warranty) and built in maximum power point trackers (optional on the Power+BOS300) which give up to 30% more power output from your PV panels. Fully complaint to Australian standards. Built-in battery thermal control system ensures maximum battery life. Maintenance free batteries with extended warranties not available on other systems. Ease of installation. The unique design of the Power+BOS systems means there is no requirement for trenches to be dug or sheds to be built to house the batteries. All the Power+BOS system needs is a small gravel bed next to your home. Scale up capacity – if your power requirements grow you can simply add another unit. System monitoring – all the information you need is at your finger tips.